Amazon Game Studios has announced that The Grand Tour Game will arrive onto Xbox One and PlayStation 4 consoles on January 15th, 2019. That’s only a few days ahead of the show’s return for its third official season on January 18th, which will be available exclusively on Amazon’s own Prime Video streaming service. The Grand Tour Game is designed to allow fans of the show to get behind-the-wheel of some of the world’s most exotic supercars and bizarre automobiles whilst playing as the beloved trio of hosts from the show – Jeremy Clarkson, Richard Hammond and James May. It will feature the cars, challenges and locations used throughout The Grand Tour’s three seasons, as well as four-player split-screen multiplayer. 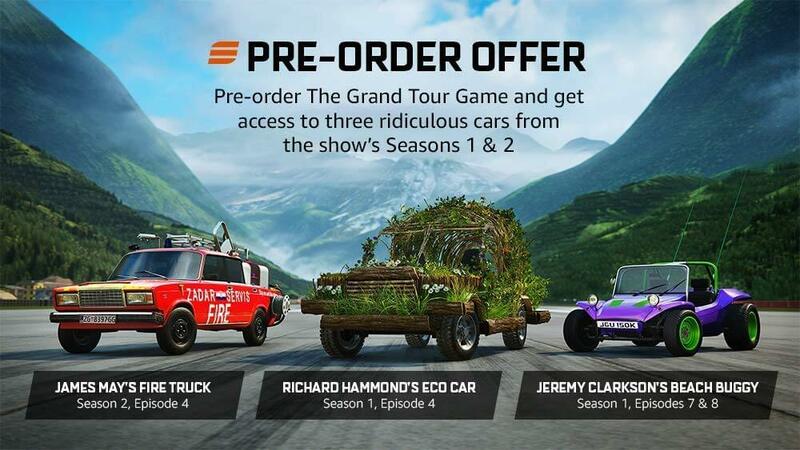 Fans who pre-order The Grand Tour Game from either Amazon, the Xbox Store or PlayStation Store will receive access to three ridiculous cars that were used in the first two seasons of the show. They include James May’s Fire Truck, Richard Hammond’s Eco Car and Jeremy Clarkson’s Beach Buggy. New challenges from The Grand Tour will be unleashed into the game on a weekly basis during Season 3 of the show, allowing you to seamlessly transition between clips of the show to gameplay – featuring voice acting from the three hosts of the show to deliver all the trademark humour and irreverence you come to expect from them! Despite its integration with the show, there is no need to be a subscriber of Amazon Prime or Prime Video to enjoy The Grand Tour Game. Whilst you’ll need the membership to experience full episodes of the show, the clips and gameplay of The Grand Tour Game will be made available to everyone. The Grand Tour Game will be sold at $29.99 on Xbox One and PlayStation 4. That’s £23.99 in the UK and €29.99 in European markets. In addition to all the episode releases from Season 3 and the aforementioned pre-order bonus content, The Grand Tour Game also features the first two episodes of Season 1 and 2. New episodes from Season 3 will be made available in the game as they’re released, and you can find out more on what to expect from the upcoming season in our recent coverage. Whilst The Grand Tour Game doesn’t launch until January 15th ahead of the third long-awaited season of the Amazon Prime original show, those who reside in Los Angeles can get their hands on with the game at the L.A. Auto Show until December 9th. 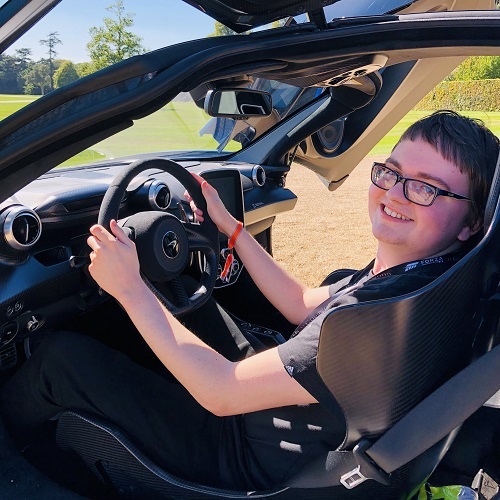 The playable demo features the Algarve Circuit and the Eboladrome, as well as four-player split-screen action that sees players behind-the-wheel of the Porsche 918 Spyder – driven by Richard Hammond in the opening episode of the show. There are also special “gadgets” that players can take advantage of mid-game that allows them to distract their competitors and potentially take the lead.